Here it is, Potterheads! The announced official second trailer for Fantastic Beasts: The Crimes of Grindelwald has been revealed at Comic-Con in San Diego, California this morning, July 21. The trailer features some new scenes of Johnny as Grindelwald which we haven’t seen before. No more words needed. Watch it and enjoy! Draw your wands, Potterheads. 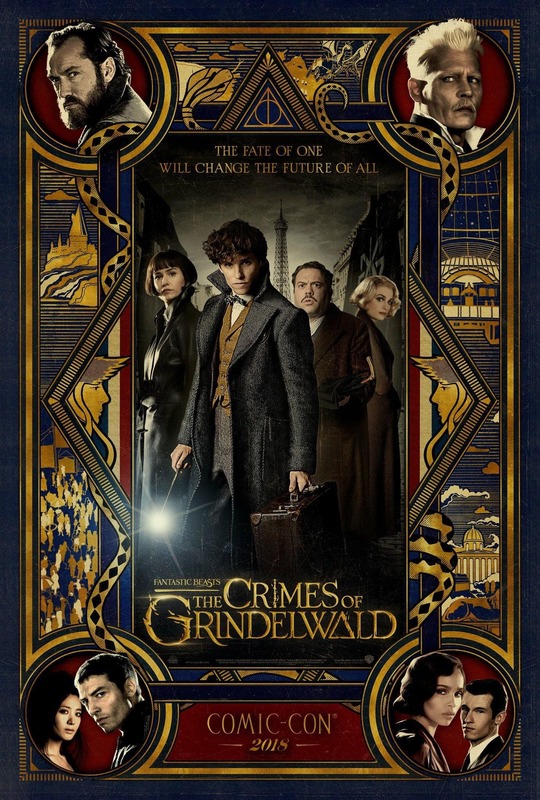 The newest Comic-Con poster for Fantastic Beasts: The Crimes of Grindelwald teases teases a Comic-Con trailer that should arrive this morning during Warner Bros. Pictures’ Hall H panel. Fans who are waiting to get more sneak peeks at the movie only need a little more patience until that trailer goes live. The poster released for Comic-Con shows Newt and his friends front and center, surrounded by magical symbols. Trailer-Track reports that a new full-length trailer for the movie was rated by the UK’s BBFC, which makes it almost sure that a new trailer will debut during the studio’s Hall H presentation at SDCC on Saturday, July 21. 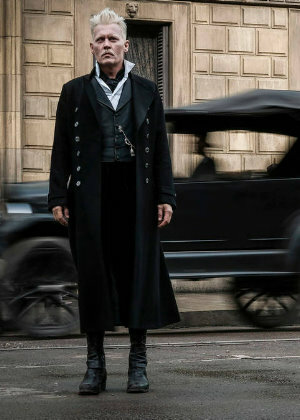 Many fans wondered a lot about the first trailer for Fantastic Beasts 2 because it didn’t feature much of Johnny’s character Grindelwald. Being that the movie is about hunting him and his followers down, that seemed a little weird. 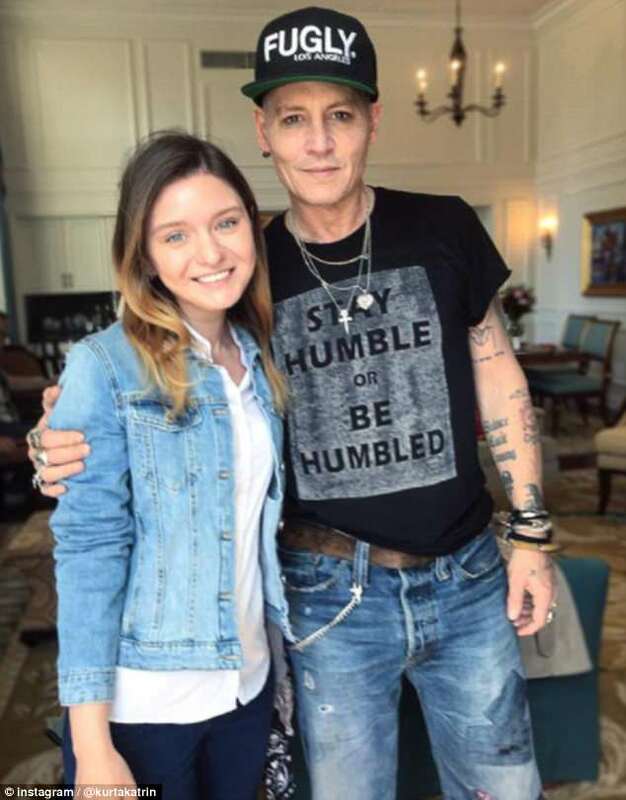 Some speculated that Warner Bros. is downplaying Johnny’s role in the movie after domestic abuse allegations arose against him. Many speculated that the film has less to do with the character than initially thought. Then there are those who believe it’s because Grindelwald won’t become relevant to the franchise until later movies (there are plans for five in total). Some fans also think it’s odd that Jude Law recently admitted that he has no scenes with Johnny in the new film. The Harry Potter books hinted that the two men once had a close relationship when younger, potentially a romantic one. Harry Potter author J.K. Rowling also admitted that she always saw Dumbledore as gay. However, it seems that the movies plan on shying away from that, at least for now. For fans, the wait for a new trailer still feels like forever. After that, though, the wait for the movie will feel even longer. But winter will arrive before they know it, and with it comes the answers to at least some of these questions they have about Grindelwald, Dumbledore, and Newt and his fantastic creatures. As announced a while ago, I’m working on getting the gallery complete and all set up. Replacing low quality images with HQ ones and adding missing images. I also remove duplicates plus start to re-sort images since some are in the wrong albums or categories. So, today I finished updating and editing the 1989 section of photo shoots of Johnny. Pictures for magazines such as Rolling Stone have been added/moved etc. Enjoy! A first movie still of Johnny and Forest Whitaker in the upcoming movie City of Lies (previously known as LAbyrinth) has been revealed today. Based on the true story of one of the most notorious and unsolved cases in recent time, CITY OF LIES is a provocative thriller revealing a never-before-seen look at the infamous murder of The Notorious B.I.G. shortly following the death of Tupac. L.A.P.D. detective Russell Poole (Johnny Depp) has spent years trying to solve his biggest case, but after two decades, the investigation remains open. ‘Jack’ Jackson (Forest Whitaker), a reporter desperate to save his reputation and career, is determined to find out why. In search of the truth, the two team up and unravel a growing web of institutional corruption and lies. Relentless in their hunt, these two determined men threaten to uncover the conspiracy and crack the foundation of the L.A.P.D. and an entire city. The official release date is set to September 07, 2018.